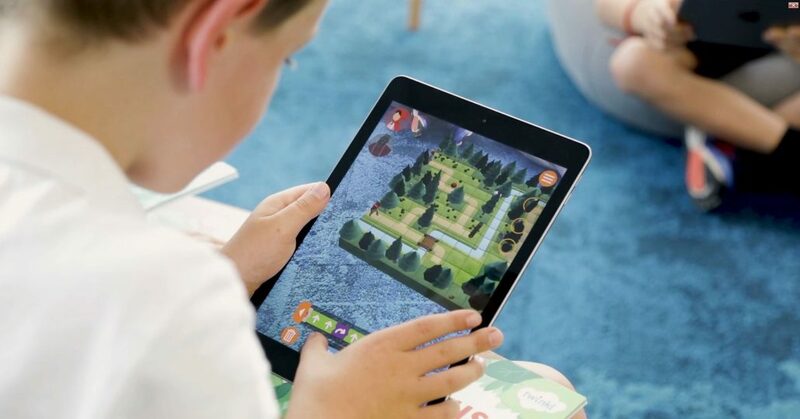 The first ever augmented reality product for multi-players and devices has been launched by Twinkl Educational Publishing today (Tuesday 18th September). The game ‘Little Red’ is the latest edu-tech offering from Twinkl, and teaches children to code and collaborate as they work together to help the familiar character of Little Red Riding Hood through the forest. Created for Key Stage 1 but suitable for ages 5+, Little Red can now be downloaded for free from the App Store. The game was created in-house at Twinkl by its team of teachers, graphic designers, illustrators, app developers and content writers. “We’ve designed Little Red specifically for educators,” explained Pete Casson, Chief Technology Officer at Twinkl. “The beauty of the game is that although it follows the English National Curriculum for coding it can be used anytime and anywhere and not just as part of IT lessons. The technology for the game to work in multi-player has just been released through the new Apple iOS 12 operating system. The game supports up to four devices with 2 players and 2 viewers, for a unique gaming experience. “We are only just unlocking the potential that AR and other emerging technologies have for the education sector,” said Pete. “But we need to ensure that the products we are creating always relate back to the teacher and how it will help them in the classroom and best enhance the learning experiences of their pupils. Used by educators across the world, Twinkl provides resources ranging from traditional materials such as worksheets and crafts to ground-breaking technology designed specifically for the sector.